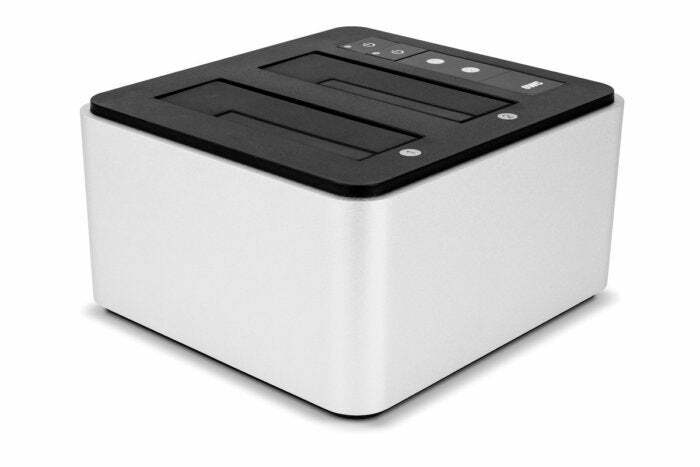 Allows two bare internal drives up to 10TB in size to be mounted on Mac or PC without cases from a single cable. When not busy with Macworld, I toil away in the audio/video post-production world. In the past, this work was all done using tape-based masters, but with the advent of high-capacity, low-cost storage media, almost everything is now exclusively in the digital domain. One of the most economical ways to do this is use bare internal hard drives with a dock, rather than stacks of external drives, each with its own case and cables. Even if you’re not doing video or photo work, the right dock and a stack of inexpensive protective cases can be a great workflow. 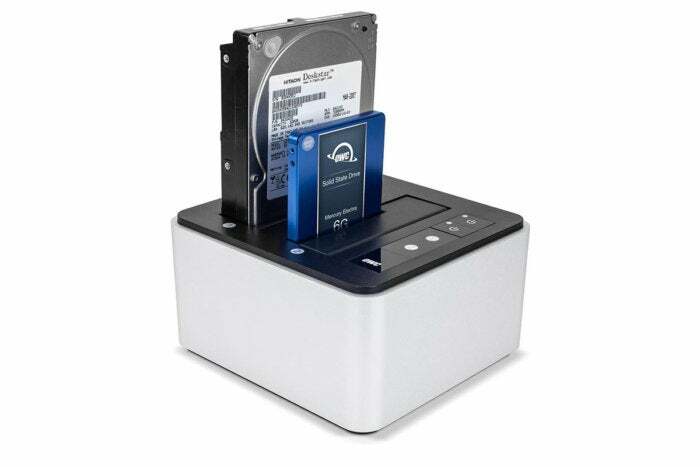 OWC recently launched the Drive Dock. Unlike the plastic units sold for cheap on Amazon and NewEgg, OWC’s dock features a silver aluminum enclosure with matte black top that gives the unit a premium (and decidedly Apple-centric) look and feel. It’s also significantly larger and heavier than many docks; 3.3 inches tall, 6.3 inches wide, 5.8 inches long, and a hefty 2.2 pounds without drives. The larger frame allows for dual bays, each capable of holding one 2.5-inch or 3.5-inch SATA 6 Gbps bare drive, the kind typically used inside notebook or desktop computers. Drive Dock features a universal auto-switching internal power supply, which means with the right plug adapters, the unit can be used anywhere in the world with no bulky wall wart to get in the way, just a two-prong AC power cable that plugs into the back. (At under four feet, the cable is a little on the short side.) One nice touch is that each bay has its own power switch and LED activity indicator on the top in addition to the main power switch on the back, which is very convenient for juggling drives throughout the day. 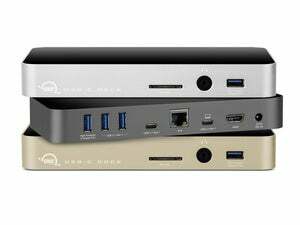 OWC Drive Dock is available in two configurations: The $90 USB 3.1 Gen 1 model reviewed here, and a $248 version which adds Thunderbolt 2 connectivity. Both are capable of impressive data speeds: up to 434 MBps read and 406 MBps write, with one big caveat. 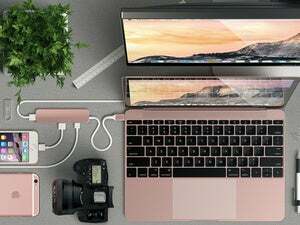 Although Drive Dock ships with a two-foot USB cable with standard Type A connector at one end and Type B at the other that plugs into the dock, most Mac users will only see a fraction of the potential performance. That’s because all but the latest MacBooks are equipped with traditional USB 3.0 ports. That includes my own late-2015 27-inch iMac Retina 5K, which only managed to muster read/write speeds around 125 MBps—fast enough to play 2K ProRes 422 HQ video files. I also ran into issues where some drives refused to mount when connected to a USB 3.0 hub; you’ll want to plug directly into the Mac for best results. And like everything else now, recent MacBook buyers will need a new cable or adapter to plug Drive Dock into USB-C ports. Most current Mac users won’t be able to take advantage of the OWC Drive Dock’s higher performance USB 3.1 Gen 1, but the quality and convenience is still worth the extra money.